Current operations in Afghanistan have shifted the military’s attention to the role of the light vehicle. In asymmetric wars they are a preferred target for ambush – partly due to their greater number in theater, partly due to the insurgents’ perception as easier targets with similar reward – the death or injury of its occupants. With the vulnerability of light vehicles exposed in the first five years of involvement in this theater of operations, armies are adapting to these new circumstances. Well-known is the trend to up-armor vehicles for better crew protection as an intermediate solution. The following step was then to gradually replace the legacy fleet with new designs that withstand rifle fire and protect the crew from RPG and IED attacks as well as the general mine threat. Finally, another reaction is to add armament beyond the vehicle crews’ personal weapons, thus reducing the necessity to expose crew to small arms fire as it happens with traditional MGs on a hatch ring mount. Industry has responded to this demand with numerous new vehicle designs as well as the development of remote weapon stations (RWS), among which the most frequently picked variants offer freedom of choice to the customer to equip the station with regular 7.62mm caliber MGs, 12.7mm heavy MG, or 40mm grenade launcher gun. This spectrum of weapons seems to cover the current operational necessities in most cases. Equipping vehicles with a remote weapon station is important – but equally important is to provide the necessary training tools, ideally beyond a mere shooting gallery. In just twelve weeks eSim Games modified its virtual simulation Steel Beasts Professional for the Danish Army with a first prototype in 2009; another eight weeks development time were allocated for final adjustments as well as the addition of tactical elements of asymmetrical warfare. Further refinement is going on ever since, including the use of Steel Beasts Professional to study the effect of proposed real-life equipment changes before they are actually contracted. This has helped to avert costly design changes after delivery. Today, numerous light vehicles in SB Pro may be equipped with a Lemur RWS. As a contributing factor to this remarkable success Steel Beasts Professional already covered much of the training requirements given its decade-long history as a tactical, gunnery, and crew procedure simulator for armored fighting vehicles. 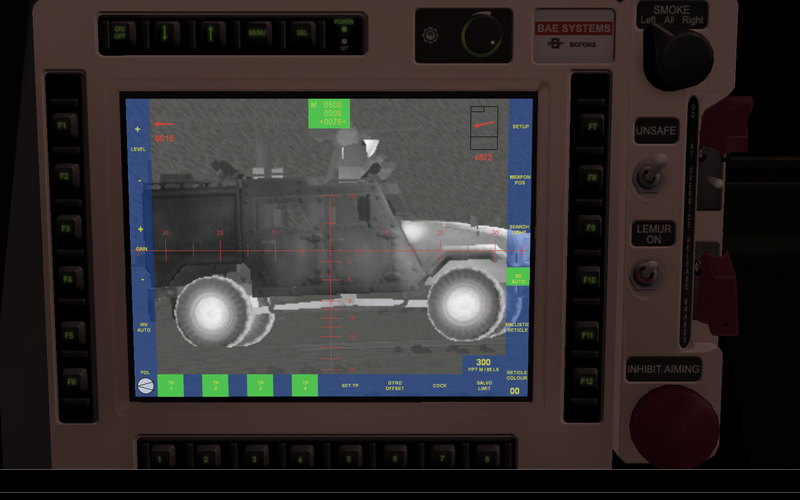 This simulation includes a number of external ballistic factors as well as terminal ballistic performance approximation as it keeps track of the vehicle’s armor protection and component localization. These elements are vital for crew procedure training, and they are useful for the constructive simulation in its role for tactical education. 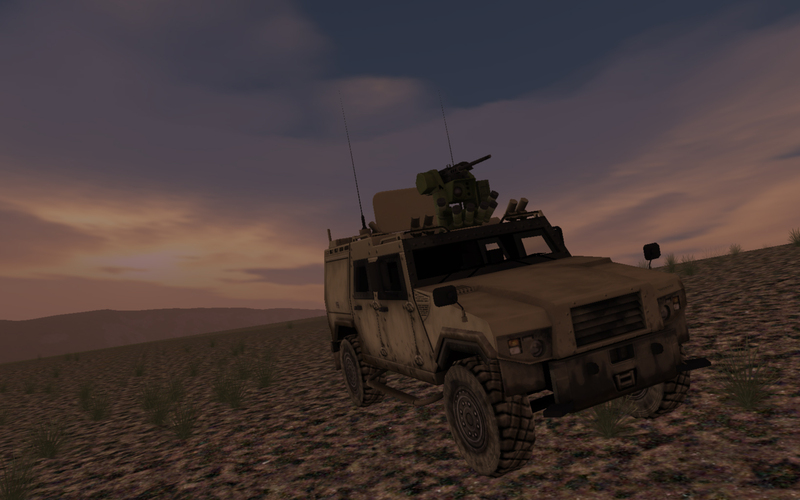 RWS equipped vehicles are now force multipliers; each has a thermal imager for better target detection, is stabilized to allow convoy protection on the move, and is equipped with a laser range finder for long range precision fire. Even though the user interfaces make the station operator’s job relatively easy, some of the skills that are being taught to snipers in year-long training are still needed for the successful employment of RWSs in the surveillance and long-range engagement role. The training requirements are as manifold as the new employment roles. Basically every soldier tasked with the use of a remote weapon station must learn to interpret thermal signatures – still a novelty feature for logistics troops. Crews manning an outpost on silent watch must plan for periods to recharge the batteries, which has implications for the tactical employment of their vehicles. Cant sensors and other components may fail, and require the crew to adapt and overcome adversity. Crews may need to engage targets beyond tracer burn-out range, and must understand that tracer rounds may have different ballistic properties, if they want to apply precision fire instead of an area effect with its implications for collateral damage. 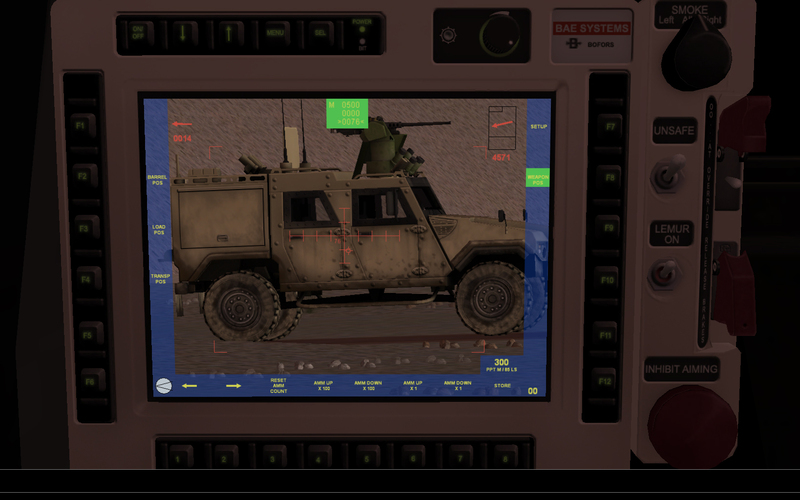 In short, the introduction of remote weapon stations requires to beef up vehicle crew training in army branches that used to worry about other issues, and a low-cost desktop trainer can help to bring the required training quickly to the soldiers that need it. Lemur RWS gunnery training is conducted by using 3rd party control handle replicas to build desktop trainer stations. The After Action Review module captures all relevant tactical events as well as crucial steps in the gunnery engagement procedure like laser range finder operation, weapons release, and terminal effect/impact localization in the 3D environment. In addition tabular summaries are generated for each mission for further aggregated statistical analysis of training results, both for the individual crew member as well as the tactical performance of units, or comparative studies of the quality of training among units. A decade of experience in AFV fire control systems replication for user training has matured Steel Beasts Professional into a product which, despite its radically reduced costs, offers the required functionality for crew training without serious reductions in fidelity. 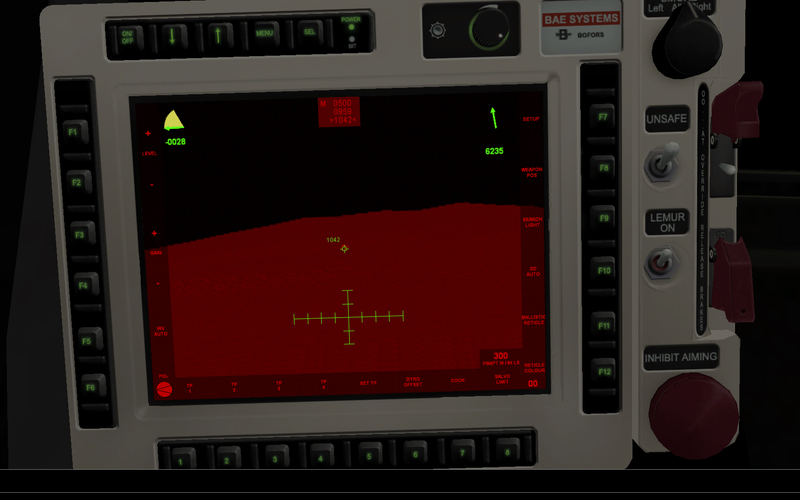 At the same time the software offers more than traditional “stove pipe designs” in the crew trainer business. As it includes not just a single vehicle’s fire control system but that of more than a dozen AFVs as well as integrated map and mission editors to allow instructors a wide range of tactically challenging scenarios, each crew may train in a sophisticated combined arms tactical environment involving forces beyond battalion strength in map areas of up to 100 x 100 km². In addition the Personal Edition is being given to all Danish officer cadets for the duration of their career courses for installation on their personal PCs for solitaire self-learning and tactical homework. As such, Steel Beasts Pro PE marks a watershed in the training paradigm from an instructor-centric frontal lesson type towards explorative learning under the guidance of experienced soldiers. As a desktop trainer Steel Beasts Professional offers a wide range of functionality at an unprecedented price point of under 10,000.- EUR per workplace, including PC hardware and gunnery handle replica. This enables to use the solution as a supplement to traditional simulator training for better crew preparation prior to simulator rotations, and better retainment of acquired know-how and skills after simulator training, or even during deployment where patrol and guard duty might otherwise result in a deterioration of skills in medium and high intensity combined arms operations. For questions and inquiries, please use our contact page.